In June 2011, the Texas Legislature passed and Governor Perry signed into law S.B. 332, amending the Texas Water Code. While praised in various news media outlets as a victory for land owners’ property rights, the bill also contains text that may have the potential to further limit the Rule of Capture. Under the unmodified Rule of Capture, the roots of which go back to the English common law, there is no limit to the amount of water people may withdraw from sources directly beneath their land—as much water as the landowner can “capture” becomes personal property. Though this rule would theoretically lead to optimal water use where a single person owns an entire aquifer, it leads to a tragedy of the commons if more than one person draws from the same aquifer. That is, where single ownership adheres, the landowner is incentivized to deplete the aquifer optimally because only the landowner will suffer the consequences of too rapid a depletion. Where there are multiple owners, however, each landowner is incentivized to take as much water as possible without regard to reasonable use and preservation because other landowners may use up the limited resource first. Critics of the Rule of Capture often describe this dynamic as a “race to the bottom.” Texas has a permitting and rulemaking system, recently modified by S.B. 332, that helps limit this negative aspect of the Rule. Though explicitly preserving “defenses to liability under the Rule of Capture” (but leaving intact civil penalties imposed by the state), S.B. 332 contains some text that has the potential to further limit the Rule’s breadth by requiring Ground Water Conservation Districts (GWCD), the administrative units charged by Texas law with regulating groundwater usage, to consider an aquifer’s recharge in its rulemaking. Such a requirement could be an important development. Both S.B. 332 and its predecessor explicitly allow a GWCD to “provide for . . . recharging of the groundwater or of a groundwater reservoir or its subdivisions in order to control subsidence, prevent degradation of water quality, or prevent waste of groundwater.” Only S.B. 332, however, contains text that requires consideration of recharge: “In adopting a rule under this chapter, a district shall: consider the public interest in. . . recharging. . . of groundwater, and of groundwater reservoirs or their subdivisions.” This fact, combined with the fact that the new text arguably provides authority to GWCDs to consider recharge issues for the mere sake of sustainability—instead of solely for the prevention of land “subsidence,” water “degradation,” and “waste”—suggests that Texas lawmakers continue to worry about the lifespan of Lone Star aquifers, particularly that of the great but diminishing Ogallala. Such concern is understandable, as fresh water is becoming increasingly precious in a world whose population has more than doubled in the last half century. 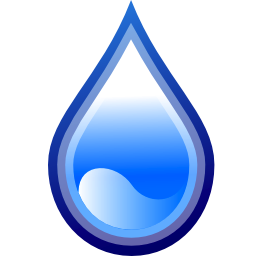 Furthermore, and because (in the prominently displayed words of the High Plains GWCD home page) “there is no substitute for water,” many international affairs experts predict that the world’s water supplies will be at the center of the next resource-incited war. 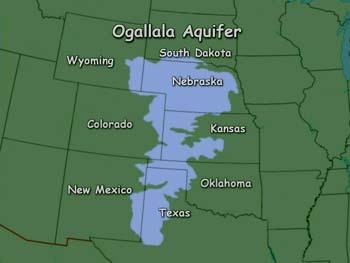 Because Texas is not the only state to draw from the Ogallala, however, the tragedy of the commons poses an ongoing and significant threat to the aquifer at an intergovernmental level. In other words, why should Texas lawmakers be shy about depleting the Ogallala unless they have an assurance from Colorado, Kansas, Nebraska, New Mexico, Oklahoma, South Dakota, and Wyoming (the other states lying atop the Ogallala) that they too will be responsible stewards of this natural resource. Such mutual assurance is the only way to make sure the Ogallala is used wisely. An interstate groundwater compact (a congressionally approved treaty between states) would make such an assurance binding. While numerous interstate surface water compacts exist, there are currently no interstate groundwater compacts. This is a curious juxtaposition—probably a result of a later developed understanding of the nature of groundwater—as groundwater is more vulnerable to the tragedy of the commons than surface water, due in part to the fact that groundwater is less easily renewed. Until a groundwater compact (or some other law that is binding on the states) is ratified and approved, state lawmakers will understandably allow depletion of the Ogallala at a greater than optimal rate. There is no secret that the South Plains region is the largest cotton producing region in the United States. Cotton itself accounts for around 35% of total world fiber use. Cotton is produced by some eighty countries; however, the U.S., China, and India combined produce over two-thirds of the world’s cotton, the U.S. being the third largest cotton producing country. Cotton is at least a $25 billion industry and accounts for over 200,000 farm and textile jobs. During the growing season, cotton farmers execute contracts to sell their cotton. The buyers then trade and sell this cotton to manufacturers on an open cotton market. As of late, the cotton market has been volatile. Supply has been driving the market price to all-time highs. Raw cotton prices have risen to record levels while global cotton consumption, according to the USDA, is projected at 117.1 million bales. At the beginning of March 2011, the USDA estimated that prospective cotton plantings would be approximately 12.6 million acres. That is a 1.6 million acre or 15% increase above 2010 levels. Globally, cotton production is anticipated to rise 13%. The current market price of cotton, coupled with tight supply, might lead some to believe that there is considerable interest by producers to plant cotton this coming year. This may also prompt cotton farmers to sign contracts that appear to be advantageous. The contracting process, however, is filled with numerous potential obstacles. Mother Nature is forever fickle and so far this year is not cooperating. Anyone who has been in the South Plains this spring can smell, and when the wind is up, taste the dry dirt in the air. In fact, this spring has been the warmest, driest and windiest spring since 1917. With little to no subsurface moisture, there is a risk that this fall’s cotton crop may suffer. A farmer looking at a contract needs to be aware of how the weather impacts the cotton growth and how that may impact the figures in a sales contract. Since cotton contracts often involve some speculation about the overall crop, if Texas’ anticipated cotton production is lowered due to lack of moisture, which causes farmers not to plant, the high market prices are here to stay. This phenomenon, which is a potential with this year’s crop, also impacts the sale of cotton and a farmer’s contract. In addition, factor in weather and instability around the globe and you have the makings for a perfect storm that will culminate in continued market volatility and high prices. The speculative cotton futures figures, which play a pivotal role in cotton sales contracts, have wreaked havoc at all levels of the industry. Cotton buyers oversold and production levels were below the estimates last year. This has caused litigation to blossom between producers and buyers. Moreover, buyers are tightening up their contracts for the coming crop year making it almost impossible for producers to contract their estimated cotton production because if they can’t plant due to a lack of rain, they still have to deliver their estimated production. Thus, greed will drive many producers to the point of insolvency. In light of all these factors, farmers faced with cotton sales contracts should pay particular attention to the speculative nature of crop estimation, and determine whether or not they can deliver and whether or not their buyer is in a position to live up to their end of the bargain. West Texas is full of incredible resources. When describing the resources of west Texas, most people would cite oil and gas reserves, the Ogallala Aquifer, our abundant agricultural land, and our copious amount of sunshine. But the natural resource we have in the most abundance, and still largely unharvested, is the wind. Most detractors of West Texas will cite the wind as a reason why this region is unattractive. But, moving into the future, the wind could be the resource that sets this region apart, puts it in the forefront of a national energy movement, and demonstrates and showcases Texas’ commitment to innovation. The processes and the science of harvesting wind energy makes technological leaps every year and the importance of wind energy only continues to increase. As this demand increases, our local landowners, farmers and ranchers are contacted and courted by wind energy companies. The wind energy company may propose many different contract scenarios for landowners. Each of the common options have their pros and cons, and each contain many pitfalls for the landowner that could impact everything from below-surface mineral interests to hunting on the land. This blog post cannot come close to discussing all the possible situations and scenarios, so below I’ll describe some of the basics a landowner should look for when initially evaluating a wind energy company’s overtures. (1) The Lease Option. Wind energy companies are careful about the placement of their turbines. There is a precise science used to determine where wind harvesting can be most profitable. As such, most of the leases wind energy companies propose will have an exploratory option period for the span of a couple of years to figure out if the meteorological factors of the land would produce good wind energy. During this time, the wind energy company gets the sole right to go on the land to install their weather data and other equipment and send out experts to survey the property, as well as other inspectors to determine other unique aspects of the land. It would seem as if the wind energy company has free reign to use the land as it sees fit. During this option period, however, there are various clauses a landowner may want to consider including in a lease option, especially those concerning the continuance of the landowners’s other revenue-generating activities, such as farming and hunting. Also, a landowner may want to include provisions in the option period agreement that require the wind energy company to act on the agreement and to study the land. Different wind energy companies propose and document this option period in different ways – some with language directly in the lease, others with a separate option agreement. In addition, some companies will give the landowner an option agreement with an attached lease term sheet. Regardless of the method of presentment, the landowner must be careful as to the provisions and stipulations put in a Lease Option. (2) The Lease. A wind energy lease is a complicated document with many clauses that can impact the use and development of the land. The typical lease term is fifty years, so the landowner needs to think of not only current issues, but issues moving far into the future. The lease will establish the particular uses and activities in which the wind energy company can engage. The uses are extensive, especially during the construction phase. A landowner needs to pay particular attention to how the wind energy company will construct its turbines, how it plans to get around on the land, what the land owner can do during the construction phase, and what, if any, other improvements and structures will be built and kept upon the land – and whether or not the lease includes any installation fees to be paid to the landowner. In regard to payment for the use of the land, the landowner will want to scrutinize the method and calculation of payments and whether or not there is a minimum payment established in the lease. Finally, the landowner will want to scrutinize clauses that involve the on-going uses of the land by the landowner. Much of the land in West Texas is used for other revenue-producing activities such as farming, ranching and hunting. If not careful, the wind energy lease may hinder or extinguish the landowner’s right to continue such activities. This is just a preview of the issues arising from executing wind energy leases. In fact, there are many other issues that can and do arise after the agreements are signed. Regardless of the attention to detail that is required and the careful thought and consideration needed by the landowner, the development of wind energy in our region has the potential to make us national leaders in renewable energy. It also has the potential to supplement and enhance the income of our landowners. This is a form of energy that is here to stay. The development has just begun, and West Texas is a prime place for new development. Harvesting wind energy can, and likely will, become a key part of our economy. Landowners, however, need to be careful to ensure that this project enhances our already plentiful natural resources and does not hinder their uses. While we sometimes complain about our dusty, windy days – in the not-so-distant future, we may look out our window and see the dust blowing and smile because we are hard at work harvesting the wind!